According to Australian authorities, data recovered from a home flight simulator belonging to the captain of Malaysia Flight 370 indicates that the device was used to plot a course to where the flight is believed to have crashed in the southern Indian Ocean. In the wake of reports that an FBI analysis of the simulator showed Captain Zaharie Ahmad Shah simulated a flight with a similar path less than a month before the crash, there has been some dispute about the simulator’s significance. For some this revelation serves to confirm suspicions that the crash was a premeditated murder-suicide on Shah’s part. Khalid Abu Bakar, Malaysia’s national police chief, said on Thursday that the investigation will not be complete until the “black box,” which contains a data recorder and cockpit voice recorder, is retrieved. Even though Bakar claimed that Malaysian police have not given documents to foreign agencies such as the FBI, Malaysian transport minister Liow Tiong Lai, confirmed that Malay authorities and the FBI worked together to analyze data found on the simulator’s hard drives two years ago. On Wednesday, Lai asserted that there was no evidence of Shah plotting the same course as MH370 on his flight simulator software. Australian Prime Minister Malcolm Turnbull did not offer any new details on what was found on the machine earlier this week, saying that it was Malaysia’s case to handle, since they were taking the lead on investigating the downed craft. Authorities have not been able to explain why the 239-passenger Boeing 777 veered from its course on March 8, 2014, on a flight to Beijing from Kuala Lumpur. 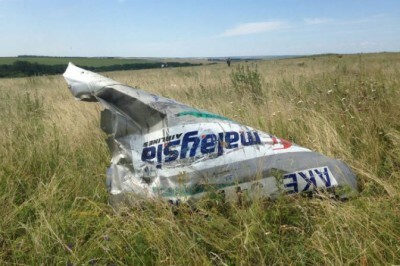 It has been theorized that the cause of the crash could be a murder-suicide by one of the pilots, a mechanical error, or possibly a hijacking. Despite a wide-ranging search for the aircraft, no significant wreckage has been found. Officials from China, Malaysia and Australia announced last week that the underwater search would be suspended once the current area being searched has been thoroughly explored. Fewer than 10,000 square kilometers are left to scan of the 120,000 square kilometer search area, and the sweep is expected to be completed by the end of the year.